Hole punched cards will give access to lock with keys. The lock can be made to accept one hole punched or two hole punched cards. 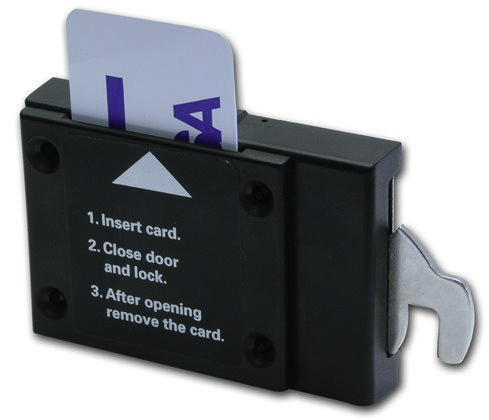 On request, when assembling the lock for one hole punched cards, 4 different located card codes are available and for two hole punched cards, 20 different card codes are available. keys and hook bolt of nickel plated brass. Desmo keys of nickel silver.